Photos taken by Senior Communications Officer, Gabriela Keseberg Dávalos, during her visit to Guinea-Bissau with Vincent Foucher, West Africa Senior Analyst. The team met with policy makers and civil society representatives to research on the situation in the country after the 12 April coup and the new transitional government. Watch our video Guinea-Bissau: Transition after the Coup, featuring some of these interviews, or listen to the podcast. 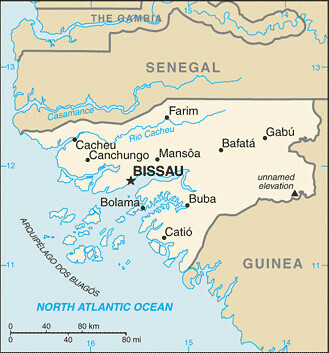 For more information on Guinea-Bissau, visit our Guinea-Bissau page.